Naughty or nice, everyone is entitled to their very own holiday wish list. With the holidays afoot, chances are you’ve considered a thing or two for yourself. New home owners, freshly moved or settled inhabitants alike might consider a rent to own list. As mentioned in Shop RTO’s “Thanksgiving guests? 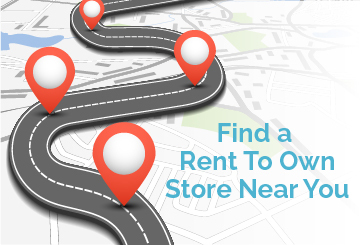 Rent to own stores can help” article, RTO stores offer a vast array of renting options. The most popular are furniture, appliances, HDTVs, computer gaming systems, computers and much much more. The benefits of such a list is that you don’t have to invest in any particular items. You can be as outlandish as any one creating a “wish list” while having your wishes come true. Dreaming of latest big screen, theater experience living room ambiance but cringe at the thought of the cost? Rent to own is perfect for getting a preview for as long as you want with affordable weekly or monthly payments. Test drive any home appliance, electronics or furniture with convenient options. In fact, compare all of the options RTO provides in comparison to the other ways acquiring your household goods. You’ll be surprised to see why rent to own is so popular. So draft up that holiday list and drop into an RTO store or shop online to find the home additions of your dreams. Just another Shop RTO lifestyle and holiday tip! Routine cleaning extends the lifespan of your furniture. The gloves are on and you’re ready to tackle cleaning house. Although you might want to avoid a deep clean and skip over cleaning furniture altogether, it’s important to remember that keeping your furniture clean will in fact lengthen its lifespan as well as keeping its appearance good as new. Because furniture is made of many different materials and comes in all shapes and sizes one piece may require a different method of cleaning than another and so forth. Vacuum. Regardless of what your furniture is made of vacuuming is the easiest way to pick up dirt, dust, crumbs or remnants of things that might have fallen through cushions or spaces. Vacuum furniture cushions thoroughly, remove them and vacuum the foundation or platform beneath them as well. Don’t forget to get any corners or crevices. This will set a good foundation to proceed with solvents. Brush. An alternative to vacuuming is brushing your furniture. Materials such as microfiber is stain resistant due to the fiber density so, brushing actually gets most dirt and debris out. Be cautious of brushing on more delicate materials such as leather or wood as it can leave scratches. Only brush under cushions. Check for a label or furniture tag. Most pieces of furniture have a label indicating the best way to clean or at the very least the name of the brand or manufacturer you can lookup. You can find labels underneath chairs or seat cushions and will likely come across some codes; W, S, WS, X. Each letter represents the type of solvent needed to clean the type of material your piece of furniture is made of. Please keep in mind that it’s always recommended to test solvents on a concealed area prior to cleaning in full to avoid any adverse reactions. Let it dry completely and if all is well, you’re good to go. W – Water-based solvent. You can make a water-based cleaner at home by combining water, a few drops of liquid dish soap, baking soda and capful of white vinegar into a spray bottle or bowl. S – Water-free product or dry cleaning solvent. WS – Either water-based or water-free will work. X – Call the professionals. These pieces of furniture need professional cleaning and this code should be kept in mind when furniture shopping as they require higher maintenance. Now that we’ve covered the gist, here’s some more information on how to care for the most common materials used on furniture such as leather and wood. Leather furniture should be kept out of the sun and at least 2’ away from heat conductors in your home to reduce the chances of cracking. Close blinds and curtains when you’re not in a room and try rotating your furniture pieces if they often receive some kind of natural light from windows. Leather solvent can also be made at home and is comprised of equal parts white vinegar and water and applied with a rag. Be sure to wring out excess water so the rag is damp and rinse often to avoid spreading dirt. Follow-up cleaning with a dry cloth. To nourish leather, use one-part white vinegar to two-parts linseed oil. Shake the mixture and apply with a cloth while buffing with a dry soft cloth as needed. Water should be avoided as cleaners on wood furniture to avoid warping or cracking. If water is used, it should be very little and wiped dry immediately. Also avoid using feather dusters on wood as the quills may scratch the surface. You can determine which solvent cleaner is most appropriate by determining the finish of the wood; stained, painted, etc. Any tough grimy spots can be broken down with the use of mineral spirits such as paint thinner. Use a rag to clean these areas but also be sure that you are in a well ventilated area. Roll up your sleeves and give your furniture some TLC. They’ll reward you by sticking around longer. Share your experience, holiday or home decorating tips with us! ShopRTO.com is dedicated to affordable lifestyle and home decorating tips. As we live in this ever changing world, we need help in keeping up with the latest home gadgets, lifestyle upgrades and decorating trends. So take the time and send us your tips, experiences and suggestions on how we can make our lives better on a budget. Especially if you use the rent to own option in your daily life. Most people don’t know all of the benefits when you use the rent to own transaction. So take a look and be pleasantly surprised. We invite you to share your holiday experiences or home decorating tips with us. Whether it’s during the holidays when you’re busy preparing for family and guests. Or finding out about the latest technology that put’s you in the 21st century. And most of all, lifestyle and home decorating tips that fit in your budget or save you money. So send us your photos, stories and tips – we’d love to hear from you! Research delivery fees when shopping. Always ask the sales person the delivery fees of that furniture, appliance or stereo system you’re getting for your home. That’s the bottom line of this post. OK, there’s also some other tips you’ll want to know if you’re having home furnishings delivered. Many stores, such as rent to own stores, offer delivery in their pricing. They also factor in pick ups as well so if you’re through renting then they come to your home and pick it up. Rent to own employees will also set up your electronics and appliances which is an added bonus. And many times have same day delivery. It’s all a part of their pricing and the convenient factor of renting to own. Other stores also have free delivery but it’s factored in their overall price. Those stores that do not factor in delivery in the overall costs will charge you extra, sometimes up to $300 for a living room set. So, be watchful of the costs of the item being delivered to your home. You can get quite the surprise when an additional $100 is added at the end. Other factors are what to do with any old furniture, refrigerators or TVs. Most will take your old appliances but not TVs nor furniture but it never hurts to ask. Make sure the delivery techs don’t have mud or dirt on their shoes and ask about the timing of delivery. Some stores such as Lowes will take several days to deliver so make sure you ask all of these questions before committing. Just another ShopRTO Home Decorating and Home Furniture Tips. Pick the right size for your dining room table. There are several key factors when picking out your new dining room table. The most important is the proper size for your dining room table which means measuring first. And most people use the wrong measurement process so use these. When you determine the room you’re going to put that dining room table, you need to measure three things going backwards to find out the dimension and type of dining room table. First measure exit/entrance distance from any walls that you plan to put the table. Ideally, you want at least three feet of room to get in and out of your chair to enter and exit the table. Measure from the back of the chair and back legs to the edge of the wall, bookcase, etc. Some chairs have legs that stretch beyond the top of the chair so make sure you remember that when picking out the chairs that go along with the table. Secondly you measure the exit/entrance room from chairs pulled out from the table. As if you’re through eating and relaxing in your chair talking to your family and friends. The way you measure that distance is to have your chair pulled out from the table to fully extend your legs. Then, you can measure your table by your knees. In other words, your knees need to align to the edge of the table when your legs are fully extended. Once, you have gone through steps one through three, you will be able to measure the correct dimensions of your table with the chairs. Hopefully you will have a sitting chair in your house to base these measurements on and give yourself some wiggle room when shopping. Now you have solid measurements to go into furniture stores that factor in the length from your home wall to your knees fully extended sitting. Those measurements will basically dictate whether you need a square, rectangle, oblong or round dining room table. Try to go with dining room sets so you don’t have to worry about chair height. But make sure when you’re testing out the dining room chairs to sit at the very edge of the seat and the very back to see if they wobble or tip. You will not be happy with chairs that wobble or tip but most people don’t test to that extent then have those regrets later. You can avoid buyers remorse through rent to own furniture stores. Test the table out at home for a month and if you like it, execute the early purchase option. Better yet, exercise their 90-days same as cash option and if you like the table after a month testing it out then make those last two monthly payments to really save while not putting yourself in a buyers remorse bind. And if you don’t like it have them pick it up then choose another. Many ready to own stores will let you replace while keeping previous payments. BUT, make sure first. Every rent to own store have different policies and wiggle room so ask before. Choose the right bunk bed for your home. There’s nothing funner than bunk beds when you’re a kid. The one who gets the top bunk is king of the mountain and let the games begin as they are boundless. Bunk beds are also good for college dorms and guest rooms as they are space savers, big time. So, if you’re looking for a bunk bed for the home, use these tips to make sure you buy the right one. There are two different types of bunk beds – lofted and basic. And many sub categories within each of those types. Basic bunk beds are twin over twin or twin over full size. Loft style can be a bit more complex with a lofted bed over a study center or a fold out futon. Some can even turn into a three sleeper for sleep overs or to take out to the family cabin when you need to accommodate many family members. Find the right style and there are plenty to choose from so spend some time doing your homework. Again, there are plenty to choose from. You may want the kind that can be separated into two twin beds to give you that flexibility. There are the metal frames or all wood. Then there’s the cottage or country style look. Many kids want themed-looking bunk beds that look like a doll house or castle. And many have slides on them. How cool is that? Measure the space both between the beds but also from the ceiling. The general rule of thumb is you want 2 to 2 1/2 feet of room between the bunks and ceiling. And that’s measured from the top of the mattress. That should give enough room to sit but, for some, not all the way. Most bunk beds are 5 1/2 feet tall so fit fine for the average room. There are many furniture places and websites where you can customize heights especially if the bunk beds will be for adults. Again, measure the height of the room to prevent your bunk bed into a bonk bed. Measure floor space as well if you’re looking for those bunk beds that have a wider bottom to accommodate the ladder or for drawers and such. Make sure there are guard rails on the top. Most will already have it but make sure anyway. Rent to own stores have bunk beds if you need to rent one for guests that plan to stay for a month or more. In fact, many times red cross or disaster relief organizations will go to rent to own stores to rent bunk beds to help house those displaced from a hurricane, flood or tornado. That’s where rent to own really becomes a great option in the marketplace. Just another ShopRTO home decorating and bedroom tip. Can you rent to own Feng Shui for the home? And what is Feng Shui anyway? Because rent to own home furnishings is renting without the obligation to own, finding the best Feng Shui for your home doesn’t have to be so stressful. Change furniture, lighting, and art in an instant without any penalty if you return the items and start over. And when you’re finally satisfied that your home is Feng Shui’d, then you are ready to own. First of all, though, what is Feng Shui? Sounds weird. But, is it? Feng shui for your home is basically a philosophy of furniture placement, types of furniture, lighting, color, artwork, everything for your home that creates a flow and positive atmosphere. And, thus, a better place to live. Experts say one of the first Feng Shui-ing tactics is to clear the clutter in your home. Then clear every piece of furniture and accessories in your mind or for real. You want to start with a clear mind and an empty room. Next step is to determine how the house flows. Open the windows to find the direction of wind and light through the house. Monitor the lighting throughout the day to see if there are drastic changes between morning and evening. Another first step is to walk through your home as you naturally do when you enter the home, leave the home, go to the bathroom, preparing dinner, etc. Each of those aspects set up the floor plan and when you’re doing these exercises, imagine each room without any furniture because you’re most likely are going to change the way the rooms are arranged. Or you’re going to change and replace the furnishings all together. ShopRTO plans to explore the many aspects to decorating the home Feng Shui style. And touting the fact that Feng Shui, rent to own style, will guarantee a stress-free process for a positive flow to your home and wonderful place to live. ShopRTO guides consumers to the best tips when decorating their homes and promotes rent to own as one of the means when shopping for affordable home furnishings.